Technology is changing the way we operate at Schneider in many different ways. It increases driver safety in our trucks, it enables new ways of communication in our offices and it allows our warehouse process run more efficiently. Specifically, using (electronic data interchange) EDI scanning technology is a benefit in our warehouse facilities. It creates a smoother and less complex process of moving freight from one truck to another called cross-docking. Cross-docking is a practice in warehousing and distribution in which a warehouse associate will unload product from the receiving dock and transfer the materials to a shipping dock for loading with little or no storage time at all. Shipments are logged with EDI scanning technology and distributed to the right truck for delivery. There are a plethora of reasons why cross-docking is benefiting Schneider. Inventory storage consumes square footage in the warehouse a customer will rent from, like Schneider. While there are times when storage may be necessary, often times cost could be avoided by eliminating storage all together with a just in time (JIT) process that a cross-docking solution can provide. JIT is a management strategy to increase efficiency and decrease inventory stock on hand. Not only does cross-docking reduce the customer’s cost, it also reduces the time it takes to get the product to the customer. As the product reaches the cross-dock facility, it is moved quickly and safely from one truck to another and shipped out. While cross-docking may be faster, it doesn’t go without saying it also decreases the risk of damage to the product as well. With traditional warehousing, the product has additional moves in and out of storage. Cross-docking directly moves the product from inbound to outbound trucks, decreasing the amount of touches and the risk of damage to the to it. The Schneider team utilizes top of the line technology and business systems to create an efficient process for cross-docking. 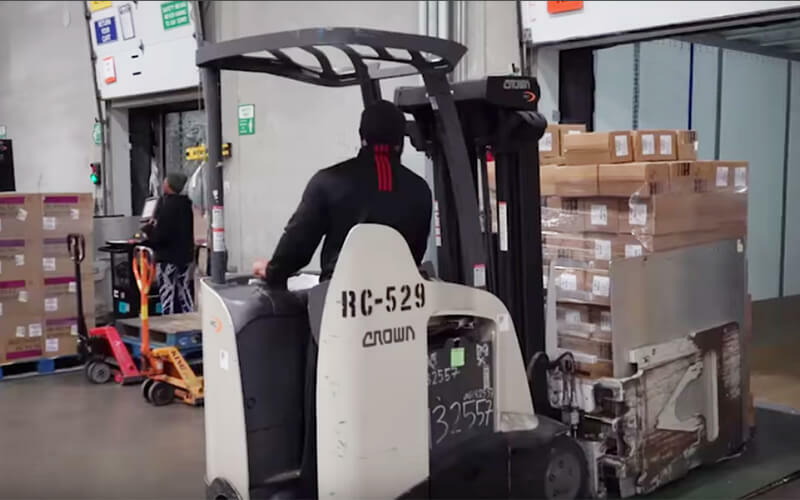 Warehouse Associates are quickly and carefully loading and unloading a customer’s product while our Quality Associates are ensuring the product gets to the correct destination without harm. Our Warehouse Team Leaders are there every step of the way, coaching our associates and making sure the job is as seamless as possible, while also rewarding a job well done. Searching for a rewarding career? Our warehouse associates play a huge role in getting freight to where it needs to be. If you’re looking for a job where you can make a difference and have opportunities to advance, apply for a warehouse job. Hailey is a Human Resources Business Partner for Schneider’s Warehouse division in Savannah, Ga. Originally from Kentucky, Hailey moved to Savannah to join the Schneider team in July 2016. She enjoys traveling, competing in CrossFit and beach days. Schneider Warehouse Jobs: How Will You Grow? Your comment has been submitted!